Join the three wineries of the Rivers to Canal Wine Corridor for a local holiday shopping experience. Each winery, Crow Vineyard, Chateau Bu-De and Broken Spoke, will have local vendors on hand to shop while you sip wine. The local products will include unique and handmade gifts, wine themed items, locally made soaps and lotions, holiday arrangements, sweets, gift baskets filled with goodies and much more! Wine will be available for purchase by the glass or bottle. 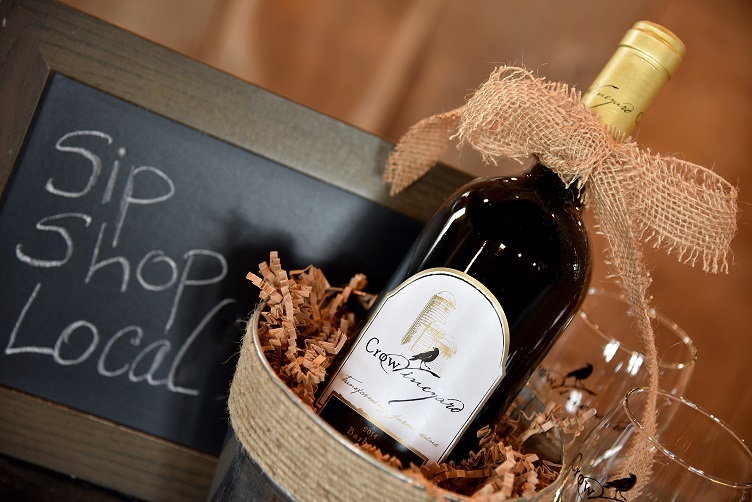 Each winery will have a special holiday drawing for shopping guests to enter. For $10 (cash only) you can take the shuttle around to all 3 wineries of the Rivers to Canal event, courtesy of Chesapeake Inn.